Gas is expected to hit $5 a gallon this week. Well, okay, April Fools. But $3.50 a gallon is no bargain. The average price for a gallon of gas currently sits at about $3.56, according to PriceLock. Massachusetts gas prices average a little lower at $3.48. 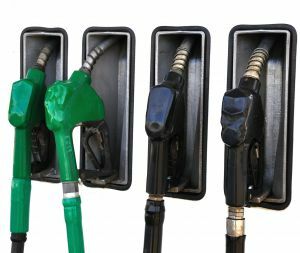 DriveOn offers tips to help drivers save on gas consumption, when in all actuality these tips may be better for preventing Boston car accidents. Boston personal injury lawyers encourage you to exercise cautious driving habits not only to keep you from spending all your hard earned money on fuel, but to help keep the streets of Massachusetts a little bit safer. “I think as the prices climb, there’s a lot of interest in finding every single way to save,” said Mary Maguire, the Massachusetts spokeswoman for AAA Southern New England. -Turn your car off whenever you can. Don’t leave it running while you’re waiting for your kids to get out of school. Don’t sit in the parking lot blabbing on your phone, Don’t leave the car running when you dash back into the house for whatever you forgot. -Check the air pressure in your tires. While many of today’s cars come standard with warning lights that alert you when your tire pressure is running low, it’s just as important to get out and check manually if you’re driving an older car. Make sure to use a gauge. Don’t eyeball it. -You don’t have to warm up your car anymore. Where that used to be the rule, modern cars don’t need it. Now all you need to do is drive slowly at first and allow a little time for the oil to warm and circulate properly. -Stay off the gas pedal. Full throttle drinks of a ton of fuel — and fast! -Try carpooling. Ride with friends or coworkers whenever possible. Not only are you cutting the risk of an accident in half, you’re cutting your gas consumption in half as well. Wondering which gas stations are offering the cheapest fuel prices? Here’s a list of daily gas prices in Boston. If you’ve been victim of a Massachusetts car accident, contact our Boston injury lawyers at The Law Offices of Jeffrey S. Glassman for a free and confidential consultation to discuss your rights. Call 877-617-5333 or contact us through the website.